Buying a new graphics card can be intimidating to someone who’s new to PC building, or even someone who hasn’t updated their card in years. It’s totally understandable. There’s a slew of factors to consider, after all: GPU clock, memory capacity, size and price, just to name a few. It’s enough to make a newcomer’s head spin at 7200RPM. 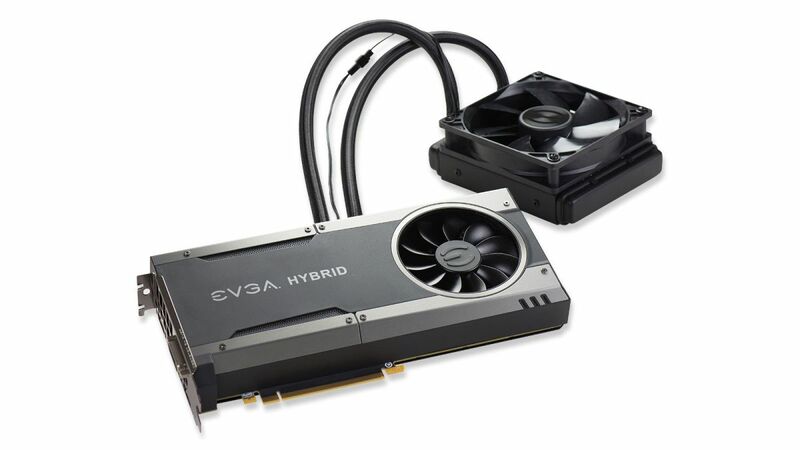 One of the things that is considered less often is the implications of the graphics card’s cooling design. Not all designs are created the same, and your choice will have a big impact in how you approach the rest of your build. Choosing your cooling design can have a big impact on your wallet too, so finding the right mix between utility and budget is often key. So, what exactly sets these different classes of graphics cards apart? Let’s take a look. The first cards that Nvidia and AMD release are referred to as “reference” designs, since the design is what they expect add-in board partners like Asus and MSI to base their manufacturing process on. In most cases, the reference design features a blower configuration. Blowers are built fairly simply: There’s usually just one fan that takes in air from the front and the face of the card and blows it out the rear (where the HDMI and DP ports are). If you were to remove the cowling of the card, you’d see a row of heatsink fins that help distribute heat for the air to pick up and take away. As it turns out, reference blowers are one of the most efficient ways to evacuate the heat from your video card out of your case. The hot air stays enclosed in the cowling, which helps keep the ambient temperature inside your case low. A pair of GTX 1080 reference blowers are the pixel pushers in this micro-ATX X99 system. If you’re employing a liquid-cooling setup for your CPU, using a blower can mean that you don’t have to worry as much about maintaining a high degree of airflow. Airflow will still be important though. Since you’re still relying on air to cool your GPU(s), you’ll need a fresh supply of cool air. Blower designs are also a good idea if you’re looking to employ SLI or Crossfire. Since these cards like to keep their heat to themselves, they can often be kept much cooler than custom cooler designs can when stacked closely together. However, the top card will tend to be a few degrees warmer. This is due to reduced access to airflow, and because the top card pulls up warm air from the back of the bottom video card. I’ve noticed that when two GTX 980 Tis are stacked together, the top card is usually one or two degrees warmer at idle than the bottom card. Spacing cards further apart by skipping one PCIe connector will help minimize this thermal differential and improve cooling for both cards. I should also note that Nvidia is calling their reference blower design the “Founders Edition” for the GTX 1000 series of video cards. These cards are coming at higher price than the AIB partner custom cooler designs will be offered at, which parts ways with how things worked before. With the Maxwell/GTX 900 series, Nvidia’s reference blowers were often cheaper than the many of the AIB custom cooler versions.